The list of myths surrounding SEO is constantly growing. Often it is difficult to squash existing myths because many agencies who offer SEO services will try and sell you anything they can. But today we’re here to reveal the truth about SEO copywriting. Don’t be fooled by flowery language and empty promises, know the advantages that SEO will have for your business, as well as how you plan to utilize organic SEO to drive traffic to your site. Below is a pop quiz (except we’re like the cool teacher that gives you the answers) in an effort to expand your knowledge of professional SEO services offered and the falsities that exist. FALSE: Meta tags are virtually ignored now by search engines because they have been abused by so many spammers in the past. Google has eliminated meta tags from their algorithm. In 2009, Yahoo announced they would no longer give weight to meta tags as well, however tests done by Danny Sullivan just days after the announcement revealed their results were still minimally effected by the tags. TRUE: While there is no direct cost for most SEO tactics, it does take talent, time, and effort. Most of the time results are not immediate so you’ll need to evaluate, research and execute with patience. You’ll also need to maintain and update your optimization efforts. FALSE: Quality content DOES matter. If you want users to visit your site and stay on your site, your copy must be engaging and relevant to what they are searching for. While length is not all that important, the ratio between length and keywords is vital. Search engines can detect if your copy is too dense with keywords, and when this happens, your rankings will inevitably suffer. TRUE: Search engines can change their ranking systems anytime they want. Most likely, you won’t be booted from your position completely but if another relevant site does a considerable overhaul you might drop slightly. FALSE: While page rank is imperative, delivering a user-friendly, relevant and engaging site to your visitors is what’s most important. If your site offers users the exact information and function consumers need, then SEO will only help you improve your page further. 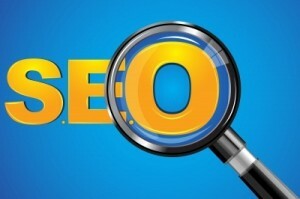 When you are looking for quality SEO services, know what is right and what is wrong. Your site will absolutely benefit from SEO copywriting as long as you know what it is you need and what you don’t.